How can you conserve water during Silicon Valley’s drought days? 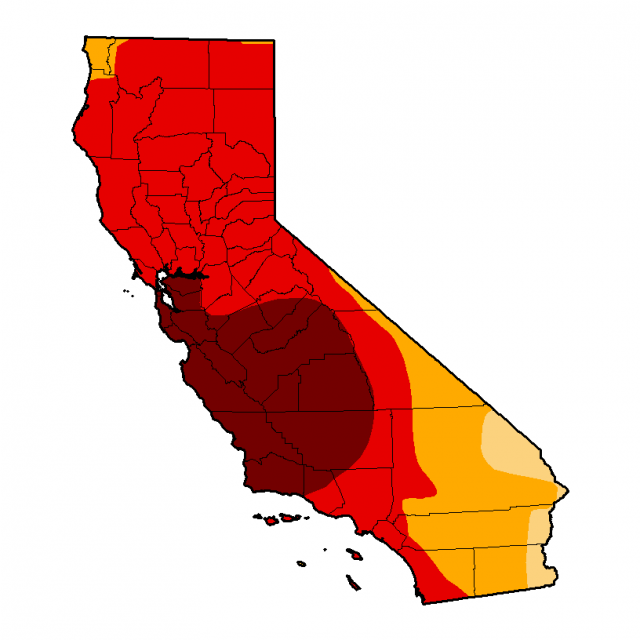 June 16, 2014 Daniel G.
With the official start of summer less than a week away, Silicon Valley leaves the “wet” season and moves into a period that experts believe will see a worsening of extreme drought conditions. The U.S. Drought Monitor shows that 100 percent of California is now experiencing “moderate” to “exceptional” drought. More than three-quarters of the state is in “extreme” to “exceptional” drought. Silicon Valley is in the “exceptional” category Cutbacks are expected on summer water deliveries. Water managers are working on water-use restrictions that could affect all of us. Imposing restrictions is a safeguard – it’s one way to ensure that less of our precious water resources are used. But regardless of restrictions, we can all take a proactive approach to water use, doing our part to help out during one of the worst droughts in history. The first step in conserving water is becoming aware of how water is being wasted around the house. A good way to create a water-conservation program for your household is to make a target list of the top three or four areas where you’re using more water than is necessary. In times of abundant water, it’s easy to fall into the habit of just letting water run and run with little thought of how much of this resource is actually going down the drain. Once you have a list compiled, you’ll know where to take action. Memorize your list and keep it in mind as you go through your daily activities. You’ll be surprised how easy it is to save water when the idea is always in the forefront of your mind. Here are some areas to consider in putting together your list. Showers. As much as 30 percent of a home’s water use happens in the shower. An easy way to save shower water is by installing low-flow shower heads. Older heads (pre-1992) use as much as 5.5 gallons of water per minute. 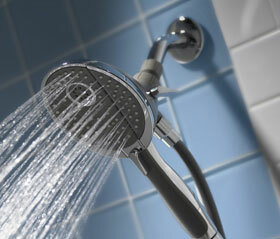 Newer shower heads use less than half that much, with some rated as low as 1.5 gallons per minute. This simple change could cut your shower water usage in half or more. How much time do you spend in the shower? How much time could you cut off the total by moving a little faster? A quicker shower coupled with a low-flow shower head will not only save a considerable amount of water but will also lower your monthly water bill. Clothes washers. You have to wash clothes, so there’s no getting around using a washer. The easiest way to save water here is to buy a water-efficient machine, available at many department stores and most home centers. Front loaders use far less water than top loaders, so keep that in mind. When washing, make sure you’ve set the correct water level for the size of the load. Finally, before tossing a garment into the hamper, ask yourself if it really needs to be washed. Like with using water, it’s easy to get in the habit of always washing every clothing item we wear after each wearing. Often this isn’t necessary at all. Sprinkler system. It’s up to each person to decide how important a nice green lawn and vibrant shrubbery and flower beds are. Assuming you aren’t ready to let everything on your property die, here’s a great tip: Water at night. When sprinklers run during the heat of the day, much of the water is burned up by the sun before it can reach the roots of grass and plants. When you water at night, there’s no water loss from heat, so you can set your timers for shorter and less frequent watering periods. Miscellaneous. Turn off the faucet while brushing your teeth, washing your hands and shaving. Save in a bucket some of the cold shower water as you wait for it to warm up and use it to water plants or pour into your toilet tank after flushing. Do a thorough inspection and discover all leaky faucets and pipes and have them repaired. Invest in a low-flow toilet. Discourage the kids from playing in the yard on hot summer days with a hose running full blast. By using these tips and plenty others you can easily think of, you can create a great initial water-conservation list. You’ll feel good about doing your part to help our drought-damaged region conserve a critically important resource. And when the days of drought are over, keep on saving water, because it’s something we can never have too much of.